Get ready to get behind the kitchens and start your own adventure in this hamburger contest in which a jury composed of three specialized members will taste your creations and give you a score. 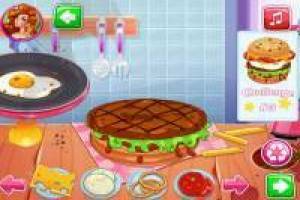 You have two ways of playing, facing challenges by copying recipes already made, or in the creative mode where you will have to buy the ingredients and go to the kitchens to make your best burger. You will have to get money to unlock all levels of challenge and also to be able to buy all the ingredients for the creative mode. Make your burgers and let the jury determine the score you deserve in the hamburger contest. 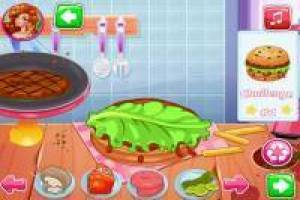 Enjoy the game Hamburger Contest, it's free, it's one of our kitchen games we've selected.